Mark Lawson reviews a new staging of Arnold Wesker's play Chicken Soup with Barley, interviews the winner of the Orange Prize for Fiction and talks to poet Michael Longley. Mark Lawson interviews the winner of this year's Orange Prize for Fiction live from the ceremony. 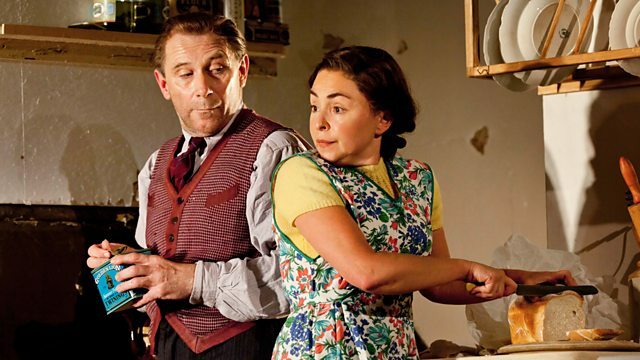 Arnold Wesker's play Chicken Soup with Barley depicts Jewish family life over three decades. First staged in 1958, Naomi Alderman reviews a revival at The Royal Court Theatre in London. Poet Michael Longley discusses the virtue of short poems and writing about Ireland as he publishes his first collection for ten years, A Hundred Doors. Rupert Christiansen and Quentin Letts discuss whether it's ever right to walk out of a play and if you should feel guilty giving up on a book before you've reached the end.